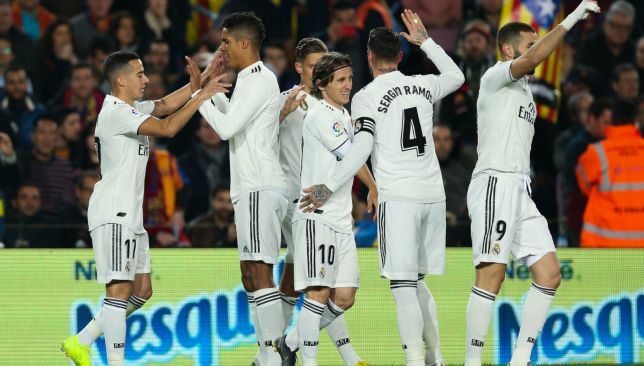 Barcelona and Real Madrid shared the spoils with an entertaining 1-1 draw in the first leg of the Copa del Rey semi-final at the Camp Nou. An early goal from Lucas Vazquez was cancelled out by Malcom’s thrashed leveller, but who were the players to shine or flop? Let’s find out with our full player ratings. Navas 6. Madrid’s cup keeper made a fine low save from Suarez after 35 minutes, but was slow off his line for the equaliser. Carvajal 6. Comfortable in defence, but had little chance to get forward as Madrid attacked mainly down the left. Varane 7. Made some important and well-timed defensive interventions including a vital block on Semedo’s first half cross. Ramos 7. Booked early on for fouling Malcom but gave a strong and commanding performance, generally containing Suarez well. Marcelo 5. Penned back by the Semedo/Malcom pairing, unable to get forward and regularly struggling defensively. Modric 6. Pinged passes superbly in the early stages but faded as Barca grew into the game. Minimal second half presence. Llorente 6. Playing in the defensive midfield role, he showed energy and discipline before being replaced by Casemiro. Kroos 6. Tested Ter Stegen with an early drive but was a relatively quiet figure as Barca proceeded to control the midfield. Vazquez 6. Netted the early opener but did very little after that. Worked hard defensively but offered little in attack. Benzema 6. Smooth assist for the opener and produced some gorgeous first touches, but faded badly out of the game. Vinicius 5. Selected ahead of Bale on the left and played a part in the opener but had an otherwise tough night and was replaced. Casemiro 6. Replaced for the last half hour, not coincidentally coming on at the same time as Messi. Steady but unremarkable. Bale 5. Subbed in for Vinicius after an hour. Had one big chance but fluffed his lines and was otherwise anonymous. Asensio 5. Entered for the final stages in place of Vazquez down the right and didn’t have enough time to contribute. Gareth Bale is the headline absentee for Real Madrid as Santiago Solari instead opted for teenager Vinicius Junior and Lucas Vazquez in support of Karim Benzema for the El Clasico clash with Barcelona. 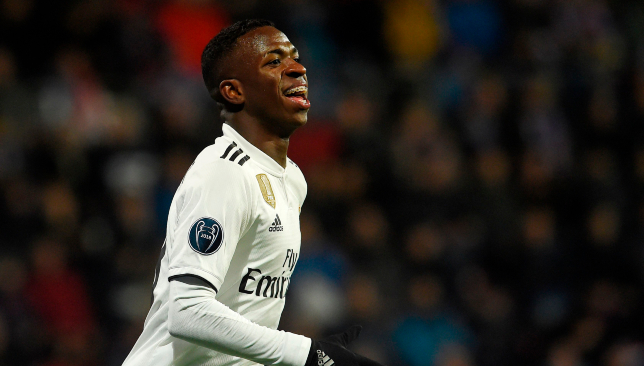 Exciting Brazilian wonderkid Vinicius has been a bright spark for Los Blancos in recent weeks but it was suggested he would be rested at the Camp Nou, having featured in Madrid’s last nine games. Frenchman Benzema leads the line in this Copa del Rey semi-final first leg encounter, having been revitalised since emerging from Cristiano Ronaldo’s shadow this season, while youngster Marcos Llorente starts in midfield alongside the fit again Toni Kroos and Luka Modric. 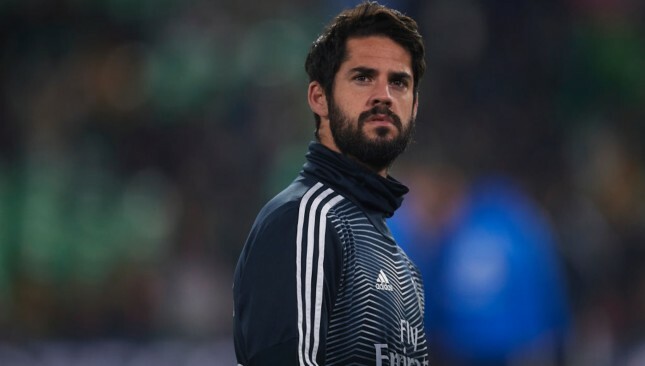 Isco’s future at Real Madrid has been the topic of hot debate with the Spain midfielder falling out of favour under boss Santiago Solari. The 26-year-old has been restricted to five starts for Los Blancos this season making only a further 10 appearances from the bench. Naturally there is increased talk Isco will exit Madrid in the summer with a number of interested parties said to monitoring his situation. And one of those could actually be a lot closer to home. Barcelona president Josep Maria Bartomeu has stirred the pot by revealing he would be willing to broach the subject of buying Isco with Real counterpart Florentino Perez if head coach Ernesto Valverde gave the green light. 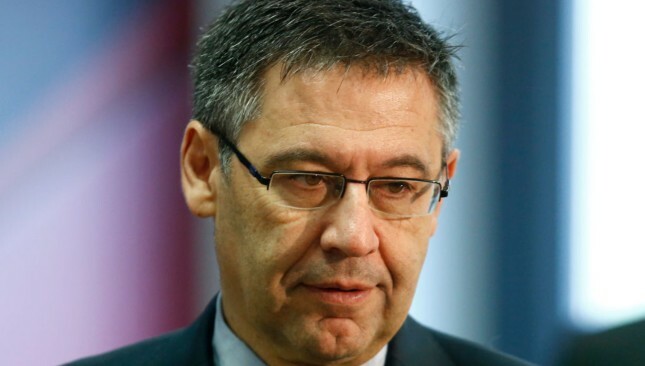 “If our coaches asked us for a player and they want to leave Madrid, of course we would sign them,” Bartomeu told El Partidazo de COPE. “But it has not happened since I’m here. “There are no non-aggression pacts. Each one tries to make their team more competitive. The playmaker is contracted at Real until 2022.